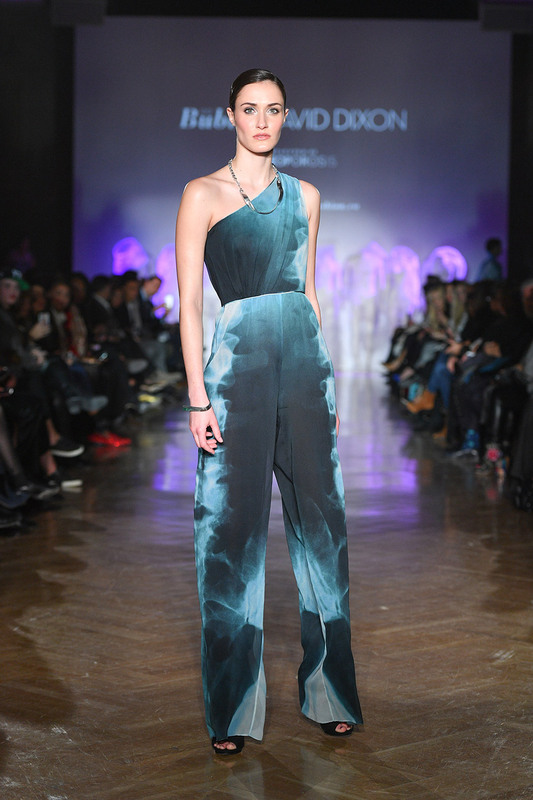 Canadian designer David Dixon is no stranger to the Canadian Fashion Scene. In fact, he is known for often times being the heart of the runway, and with great personal reason to boot. Not only does he design and create elaborate couture collections, but each collection has a story to tell. He is known for diversity on the runway and casting models with great personalities, with some of which he has developed great friendships. In past years, he has brought awareness to causes that are not only personal to himself, but to many others in the fashion industry and beyond. After losing his sister to ovarian cancer a few years ago, he had difficulty finding the motivation to create to the level at which he knew he could. Back in 2016, he used this tragedy to bring awareness and comfort to others, by creating a collection that supported ovarian cancer research and awareness. This year, Dixon extended that narrative into another cause that is all too familiar to many in the aging population, but at the same time, not familiar enough. 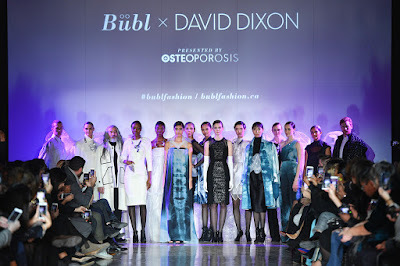 Dixon’s new collection Bübl highlights Osteoporosis using bubble wrap as the main fabric of choice. Yes, you heard it right, bubble wrap! 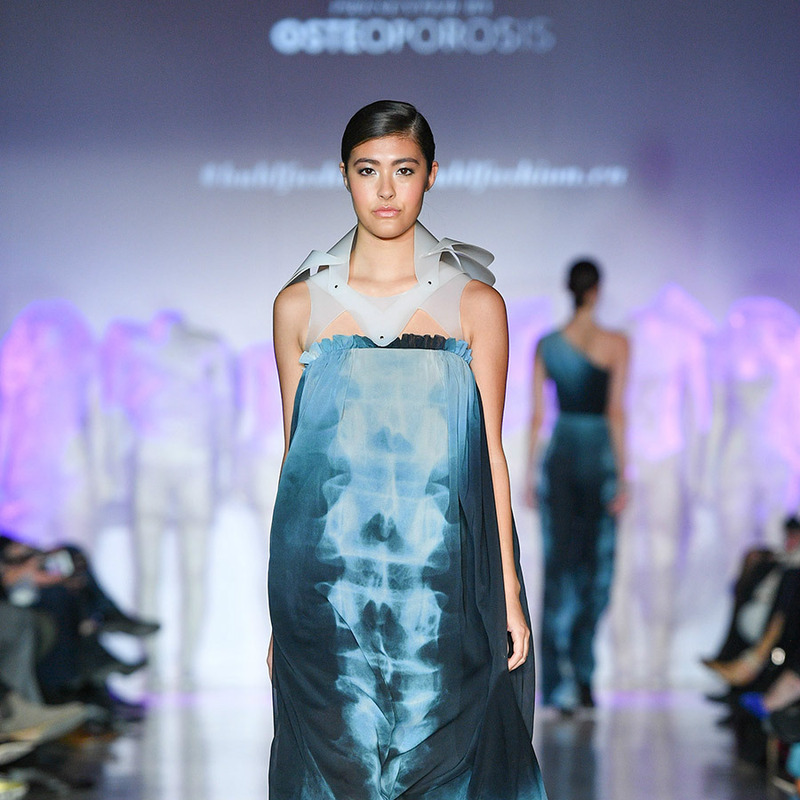 As the models brisked the runway at Toronto Fashion Week, each wearable garment displayed bubble wrap in the most vulnerable and fragile areas of the body, where osteoporosis tends to be most prevalent. The hips, wrists and spine were especially featured covered in bubble wrap with blended fabrics and complimentary patterns intertwined into beautiful dresses, jackets and outfits. In an interview with the Fashion Talks Podcast, David Dixon sat down to talk about his new collection and what it means to him. “Delicate things are wrapped in bubble wrap and a person with Osteoporosis is delicate. I wanted the dresses to look wearable and placed the bubble wrap in areas that need the protection the most.” Attention was then brought to the idea that his garments and dresses almost appeared skeletal in nature, using white fabrics and bone like features to structure some of the pieces. No matter which approach David Dixon takes for his next collection, the audience will not be disappointed. He knows how to make a statement and uses that platform to bring awareness to causes that affect many people and that’s been his motivation to date. With each collection, he expresses that he always “thinks about long-term wear” and doesn’t necessarily think about now when creating. He thinks more about longevity of the collection and wear for the client all while making a difference in the world. You can listen to and download the Fashion Talks Podcast with David Dixon featuring Bübl now! "We are on a mission to make Canadians unbreakable," says Dr. Famida Jiwa, President and CEO, Osteoporosis Canada. "Osteoporosis affects two million Canadians, including many young people that do not realize the risks they face; so, it is imperative that we reach a new generation and younger audience; David Dixon and Toronto Fashion Week® x RE\SET™ will help us do just that." David Dixon goes where no one else does. After graduating from Ryerson University in 1995, he recognized a gap in the Canadian Fashion Industry: women's contemporary evening wear and event dressing. With that, his eponymous label was born. Today, his designs are sold across Canada and in select boutiques around the globe. David's latest collection, Bübl x DAVID DIXON, continues his history of breaking new ground in fashion. Throughout his career, David's innovative designs have won him a following with many in film and fashion, including Meg Ryan, Meagan Follows, Jeanne Beker, Noot Seear, Linda Evangelista, Coco Rocha and more.